Step 1: Buy a burrito. 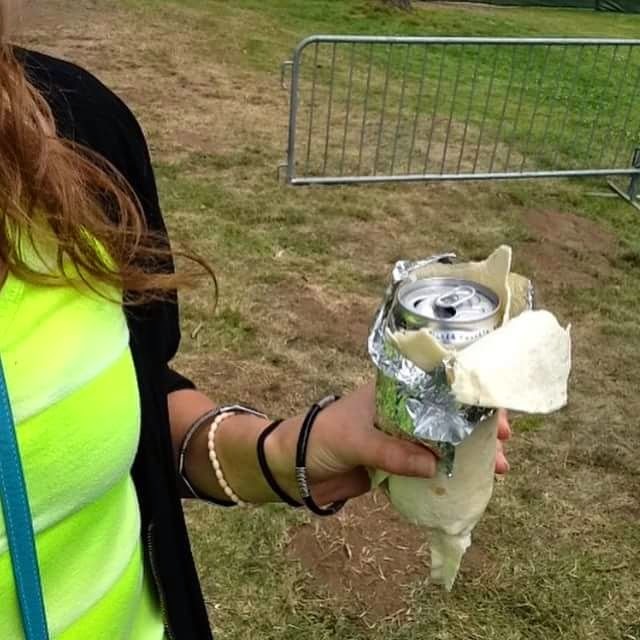 Step 4: Stick beer in the place where the sun don't shine, aka wrapped in the burrito's former home. Step 5: Play it cool. (And don't try to go through a metal detector, beer cans and foil are metal bro). Step 6: Don't eat it. It's still a beer not a beerito. Drink it. (And not in front of event security).